We are pleased to announce that the Greater New Milford Chamber of Commerce will again take on the role of lead organization for the 2016 New Milford Fireworks Celebration. For the past four years because of the generosity of our community, we have been able to raise funds and put on a spectacular firework display to celebrate our country’s birthday. The 2016 fireworks celebration will be held on Saturday, July 2nd (rain date of Friday, July 29th), and we need your help. In order to put together the display, we need to raise about $10,000. We are asking you for your financial support of this substantial undertaking. Every dollar donated will help. Because of the generosity of you, our townspeople and businesses, we can keep this community event alive. Donations can be mailed to: GNMCC, 11 Railroad Street, New Milford, CT 06776. Please make checks out to GNMCC and put “fireworks” in the memo line. Thank you! 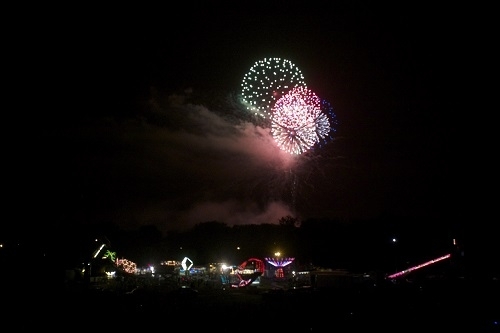 The New Milford Fireworks Celebration happens because of you. We thank you for your consideration and really appreciate your support. Fort Hill Rd, Peagler Hill & Town View will be closed to traffic during the Fireworks Display. In the event of rain, the fireworks will be held on Friday, July 29th. Because of the generosity of you; our townspeople, businesses, and New Milford Commission on the Arts, we can continue this community tradition. Thank you!